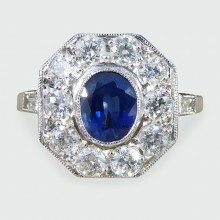 This captivating blue Sapphire weighs 1.00ct with a surround of Diamonds weighing 0.75ct in total of.. 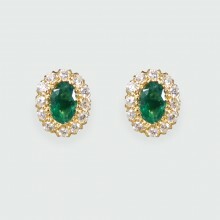 These lovely earrings feature two oval cut Emeralds weighing 0.45ct combined with a halo surround of.. 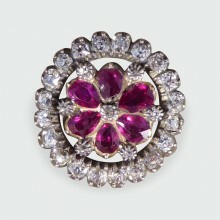 This gorgeous antique brooch has been hand crafted in the Georgian era featuring a Cluster of Rubies.. 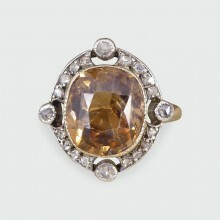 This radiant antique ring has been created in the Late Victorian era with clear hallmarks on the inn.. 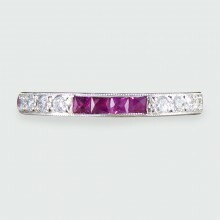 Fully hand crafted from 18ct White Gold and set with Calibre Cut Rubies and Round Brilliant Cut Diam.. 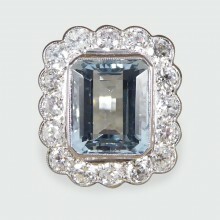 This statement cluster ring holds a 5.00ct Aquamarine in a rub over collar setting with a Diamond su.. 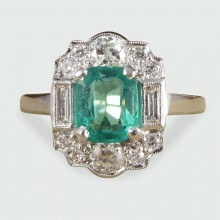 Such a beautiful contemporary ring featuring a 0.90ct Emerald gemstone with a Diamond surround. With.. 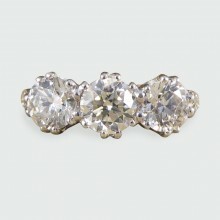 This beautiful and dainty three stone European Cut Diamond ring holds a 0.50ct in the centre with tw.. 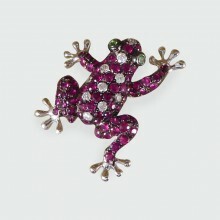 Such a cute little piece of animal jewellery. 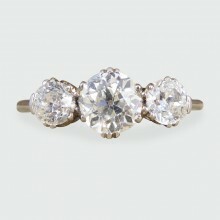 This contemporary ring has been hand crafted from 18ct.. 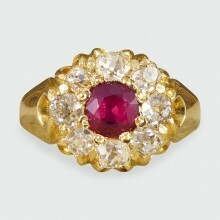 This beautiful ring has been crafted in the Late Victorian era with a gorgeous and elegant old look .. 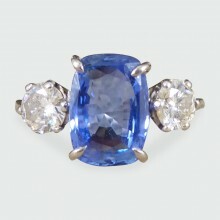 Featuring a 2.60ct Ceylon Sapphire with a wonderful light blue colour and two Round Brilliant Cut Di.. 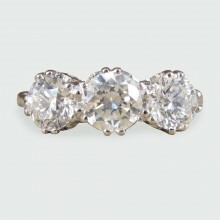 Such a gorgeous and sparkly Diamond three stone ring with Modern Brilliant cut Diamonds set in a sec.. 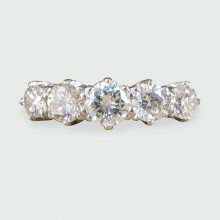 The five beautifully sparkly Modern Brilliant cut Diamonds are set in a secure Platinum claw setting.. The three beautifully sparkly Brilliant cut Diamonds are set in an 18ct white Gold eight claw settin.. 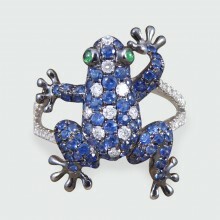 This contemporary piece has been hand crafted from 18ct White Gold in the shape of a frog and full a.. 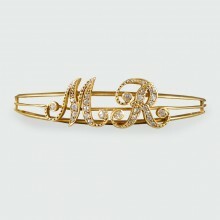 Showing how quality really does stand the test of time, this Antique Bangle is in great condition ha..